For external P elimination, the P rich lake water is trea ted in a plant at the shore of the lake before being returned to the lake. The treatment also improves the oxygen conditions and simultaneously removes toxic or reduced substances. P elimination in the lake water can shorten the adaptation time required to reach a lower P level after reducing external P loading. Scientific background. 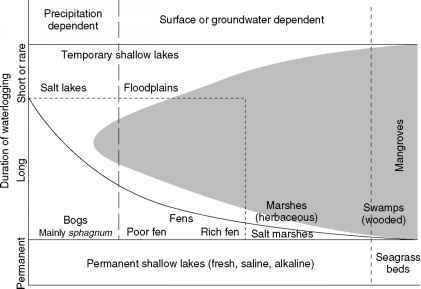 In contrast to conventional hypo limnetic withdrawal, the combination with treatment cannot lead to hydrological imbalances, because the water is returned to the lake. The selective withdrawal and treatment of P rich deep water is more efficient than the chemical treatment of the surface or inlet water. It is advantageous because it can be applied continuously and because only a small portion of chemicals enter the lake, which minimizes the risk for the biocoenoses. Techniques. External P elimination is realized by preci pitation, flocculation, flotation, adsorption, or filtration in stationary or transportable devices. Alternatively, algal biomass and P can also be removed from the lake water in constructed wetlands or in gravel bed reactors. The treated water is returned to the lake by a pipe. External P elimination can be an alternative for cases in which the deep water export is not appropriate due to long water retention time or potential problems in downstream waters.